Foundation House offers hope and help through rehabilitation. We provide a foundation for people ready to change their lives, start their rehabilitation and begin a new chapter. Foundation House offers rehab for those with alcohol, other drug and gambling addictions. Foundation House offers a comprehensive residential drugs rehab program. Foundation House takes a holistic approach; we undertake a comprehensive phone, then face-to-face, assessment and tailor a program for the clients’ own needs and circumstances. We work with our clients on their 2-step residential alcohol rehab program. Foundation House is focussed on helping clients to re-establish their life foundations so they can go on to lead productive, happy and fulfilled lives, with the care they need. Foundation House provides support, strategies and gambling rehab. Individual treatment plans are created and implemented. Group work, specialise individual counseling, case management and self-help meetings are all central to the program. 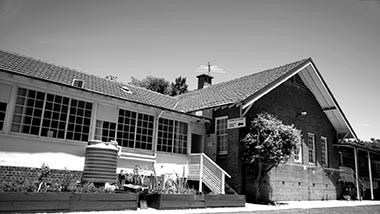 Foundation House is a not-for-profit residential rehabilitation centre founded in 2000. We offer residential rehabilitation, outpatient services and ongoing support after rehab. Foundation House has a 28-day residential program that is often the first step in the recovery process. The following videos are real people who have been through the Foundation House program. Foundation House is here to help our clients on the path to recovery. We are a discreet and professional organisation that will discuss your needs in strict confidence, so you can get in touch with confidence.